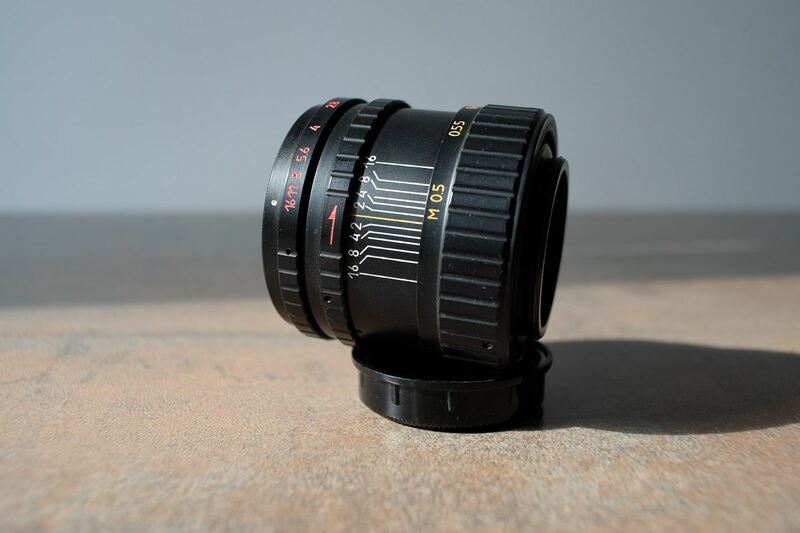 Helios 44 58mm f2 is one of the best known Soviet vintage lenses. Production started after World War II and continued for half a century, until the 1990s. 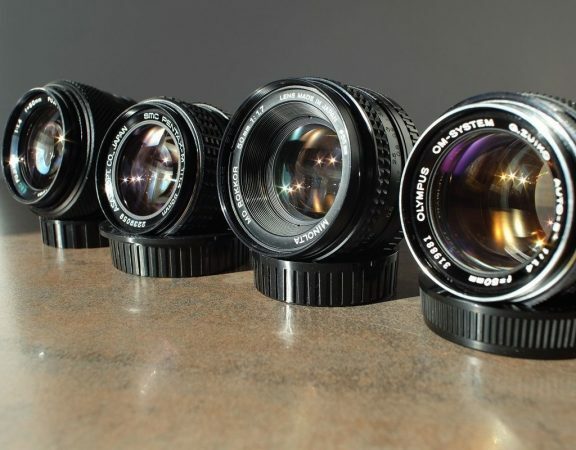 The lens is quite popular today because of its distinct image rendering, availability and price. 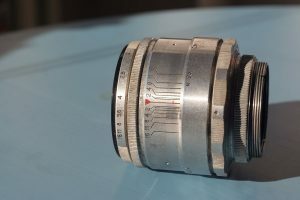 Helios 44 was produced in the Soviet Union primarily at KMZ near Moscow but also at Valdai or later at BELomo in Minsk. 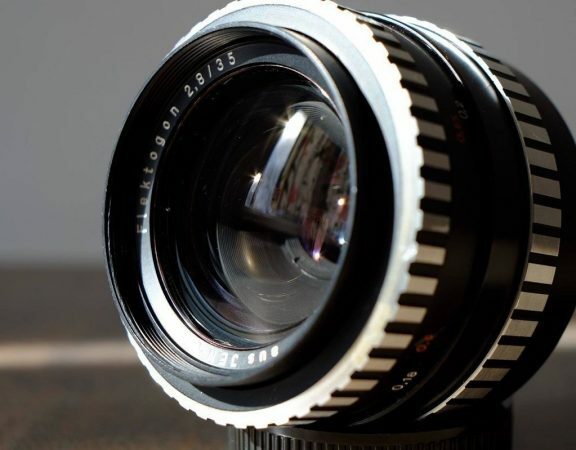 Valdai made Helios 44-2 early version. Design wise, this version is almost identical with the original Helios 44. 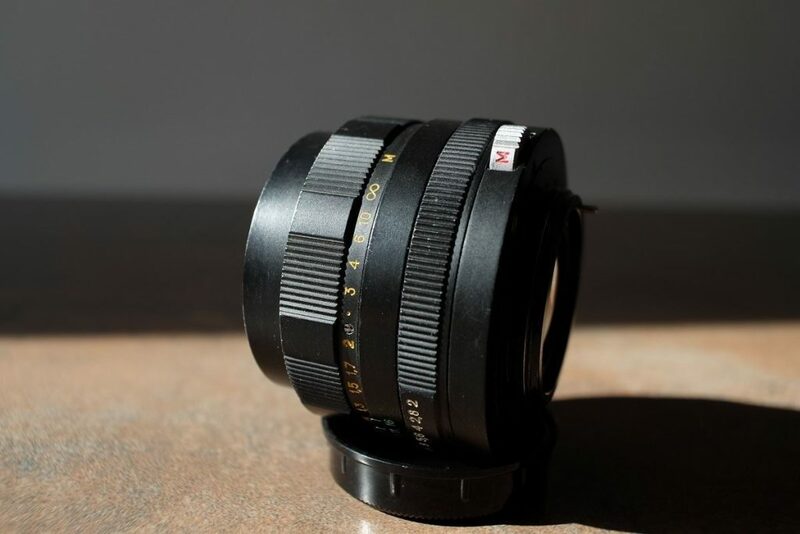 KMZ made Helios 44M. 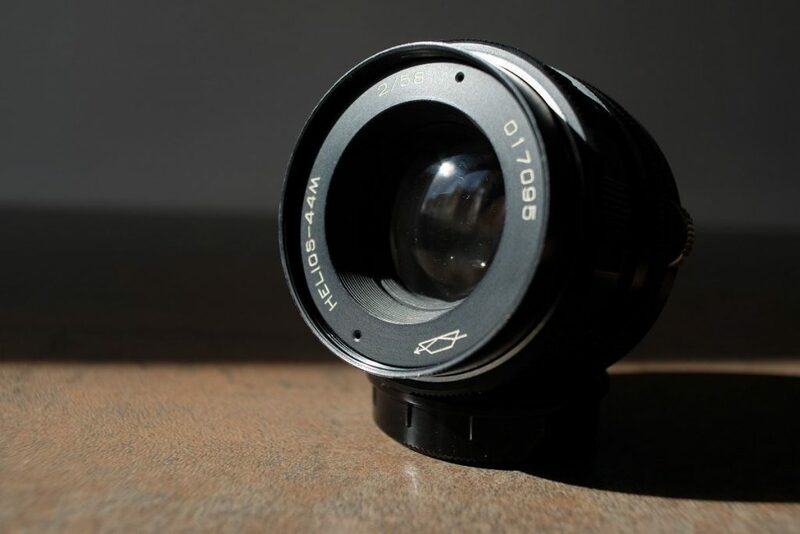 The overall design was changed and the focus ring was repositioned. The optical formula remained the same. Both design and optics-wise, the Helios 44 is a copy of the prewar Carl Zeiss Biotar with which it shares the same focal length and maximum aperture. 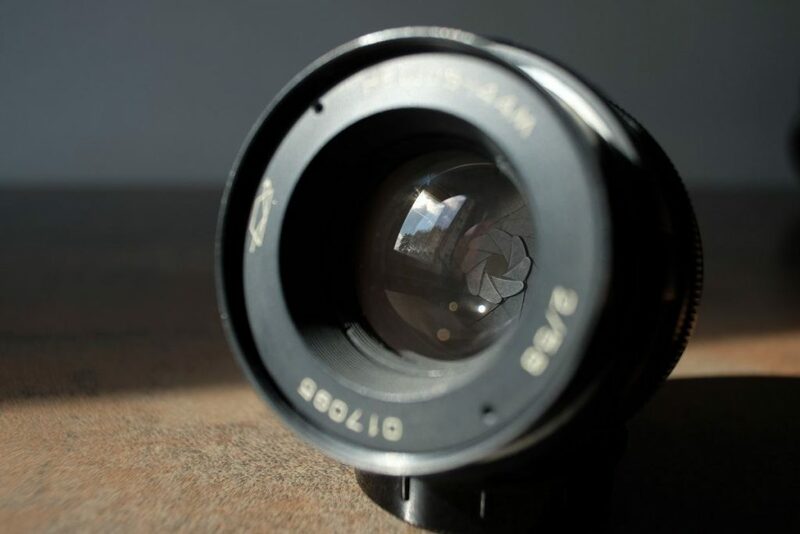 It was initially produced in the M39 mount and then became one of the first lenses to be made for the M42 mount. Some Helios 44 lenses were also sold on Soviet Start cameras, which had a bayonet mount. 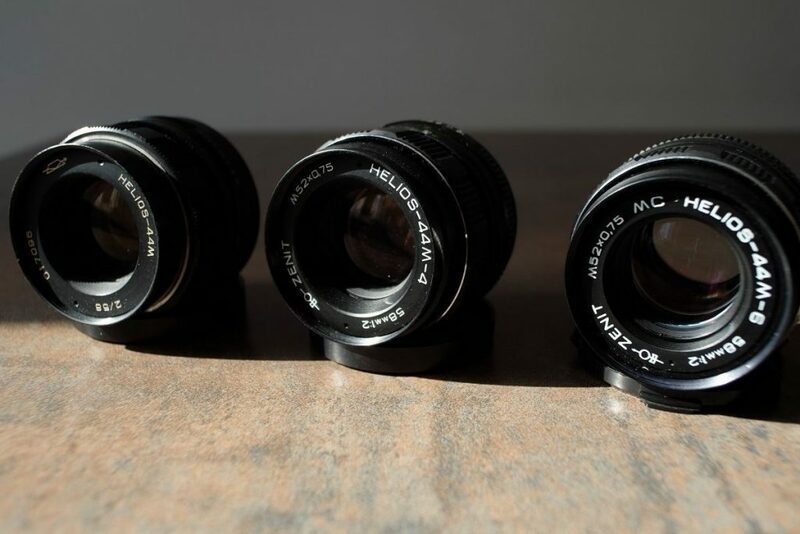 During its long production span, the Helios 44 has had numerous variations. While focal length and maximum aperture remained the same, improvements and changes were made in terms of resolution, coating layers and body style. 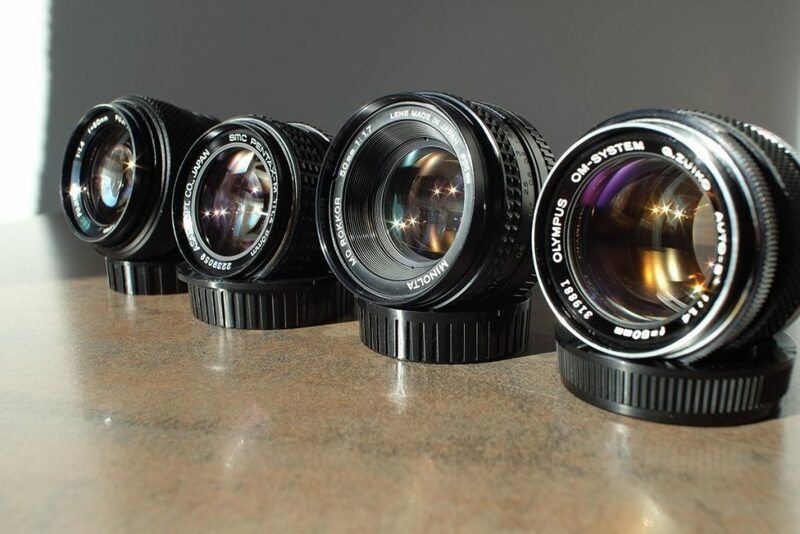 While variations in terms of glass quality are open to debate, reliability in Helios 44 remained strong throughout the years. This first version of the lens really looks old school with its silver like shining chrome body. It has a 13 blade aperture with a preset aperture control, the maximum opening is f2 and the minimum is f16. The minimal focusing distance is 0.5m. 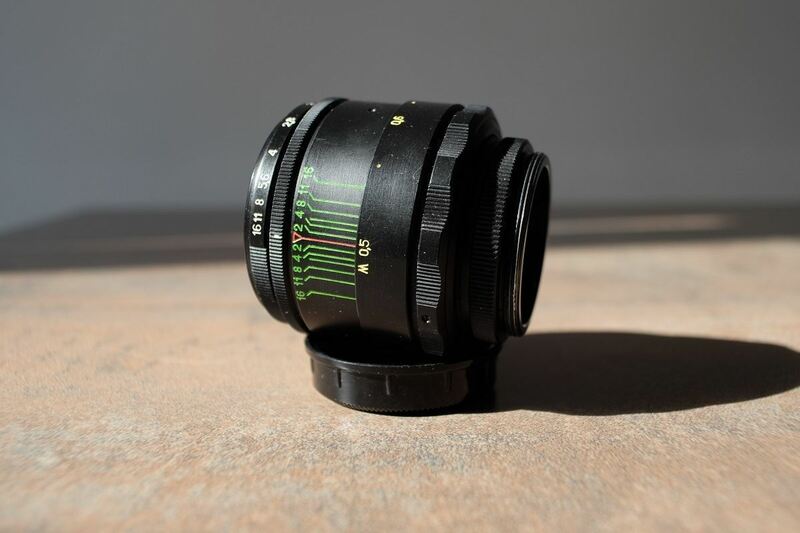 The lens uses a 49mm filter. 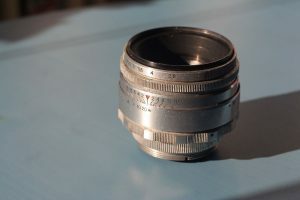 Some really old Helios 44 lenses, such as the one presented here, do not have the typical Soviet serial number where the first two letters indicate the production year. Also, the glass has a purple tint, which is somehow atypical for a non coated or single coated lens. This is probably the most sought of version of the Helios 44 series. That’s thanks to its greater availability in comparison with the old version and because of its greater prestige in comparison with the newer versions. Probably, this early version was also the most successful of them all in terms of numbers. 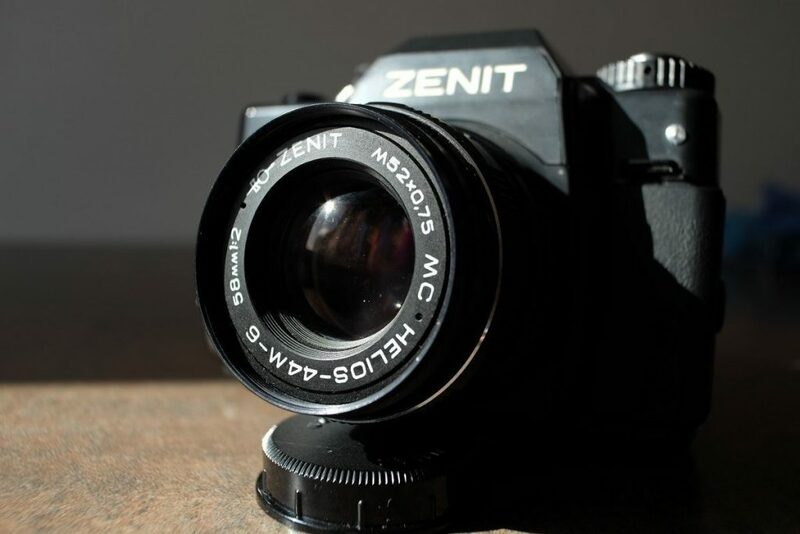 Back then, Helios 44-2 was the standard lens on Zenit film cameras and the two products were sold in large numbers, especially in Eastern Europe. The other famous kit of the time was the Praktica film camera, which was equipped with the Pentacon 50mm lens. Helios 44-2 early on a Zenit camera from the 1960s. This was one of the most used 35mm film cameras coming from Eastern Europe. The lens impresses with its simplicity in both design and construction, but it is sturdy and reliable. It was one of the last preset aperture control lenses to have been in production during the 1980s. 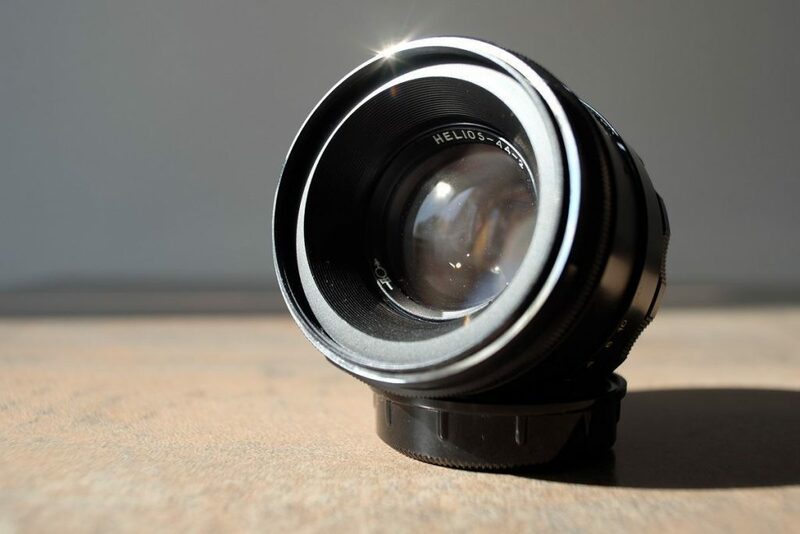 The most important fact is that the Helios 44-2 has its own personality in terms of color reproduction and bokeh. Colors seem somewhat cold and watery and maybe a little too greenish for some tastes, but that’s the beauty of it. Bokeh is very nice and the lens still retains the sharpness of the Biotar, especially when kept in the f3.5-8 aperture range. In terms of body style, the silvered chrome was replaced with black metal, as it was the case with almost all vintage lenses starting with the late 1960s. The number of blades was also reduced from 13 to only 6 or 8. Focusing is done by a ring closer to the mount, which may not be the best system in terms of ergonomics, but it is better than the one found in the Mir 1, for example. As it was previously said, some users signaled that quality may vary. However, we didn’t find any inconsistencies until now. 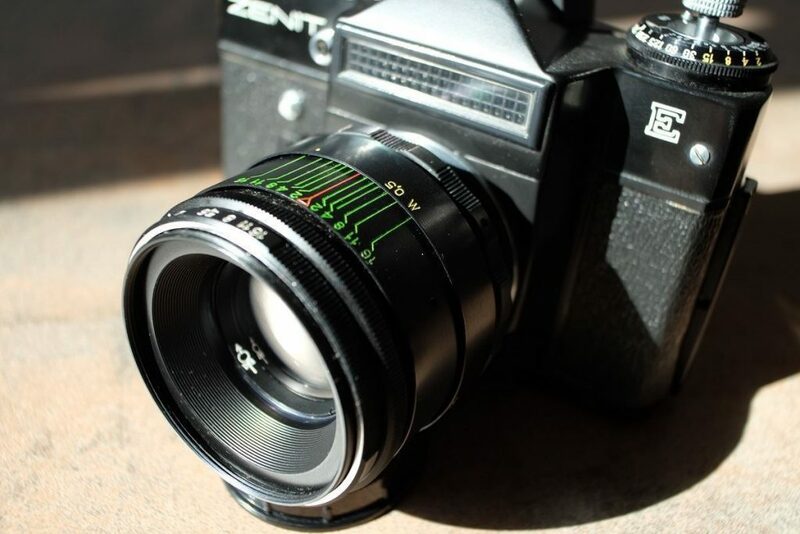 Figures based on the web resources from Zenit indicate that the Helios 44-2 has better resolution than the Helios 44. 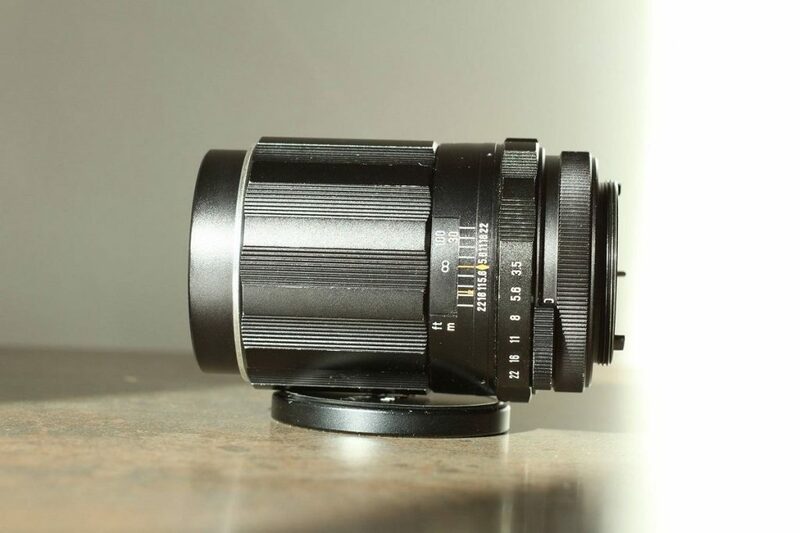 This is a rarer version of the lens which has the same specifications as the Helios 44-2 early, but has a different body style. 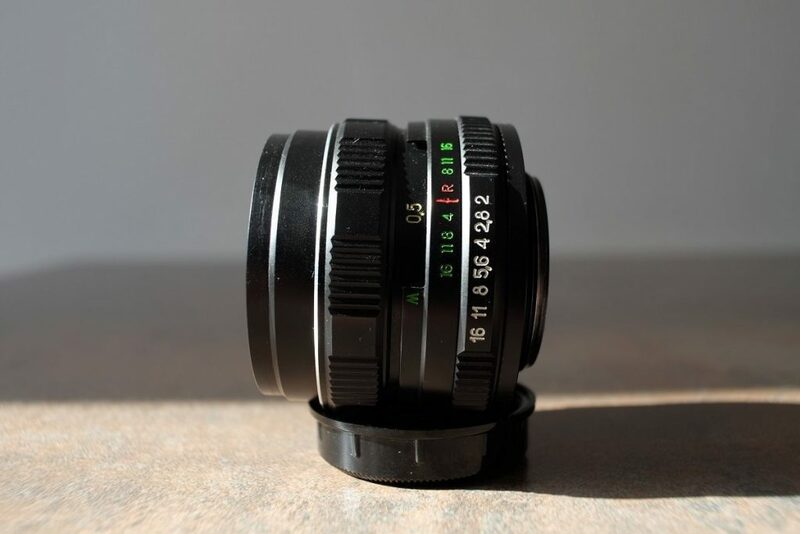 It is probably one of the last of the Helios 44-2. 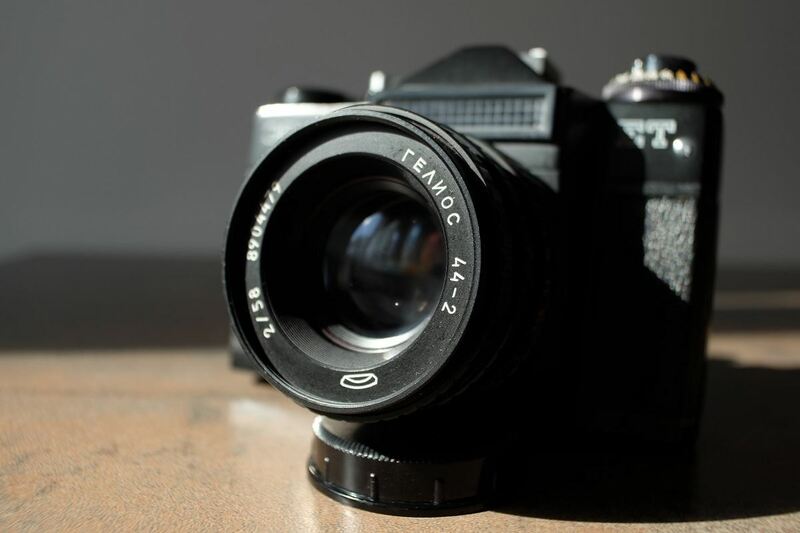 Soviet Helios 44-2 made at the Belomo factory, in today’s Belarus. This late Helios 44-2 version looks different but keeps the same layout as the previous one: focusing ring kept at the back of the lens, aperture priority ring. Helios 44M marked a big change in the design of the older Helios 44 lens, despite the fact that the optical formula of the lens remained the same. From the 1970s, the two designs remained in parallel production until the very end. The new Helios 44M changes the aperture control and place completely, marking the transition from the old preset system to the new modern ring style. The new diaphragm control has now an Auto and Manual switch, which indicates that the lens can be used on automatic preset control or on fully manual control. Until the multicoated versions, resolution remained almost the same, but the light coefficient transmission was improved. 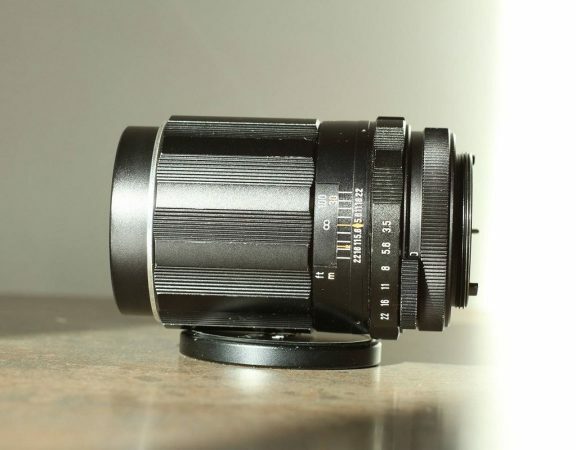 Helios 44M with automatic and manual control switch. Later, this feature was dropped in favor of the older layout. 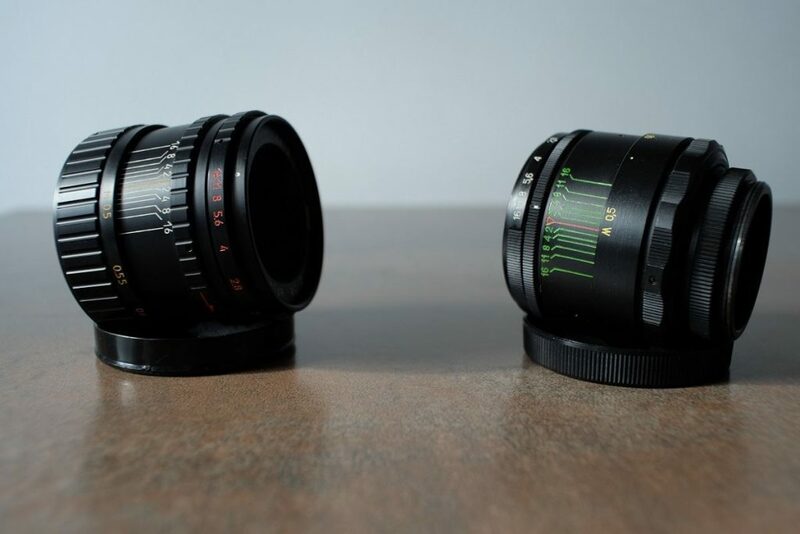 Helios 44M has a 8 blade diaphragm vs 6 blades for the Helios 44M-4. 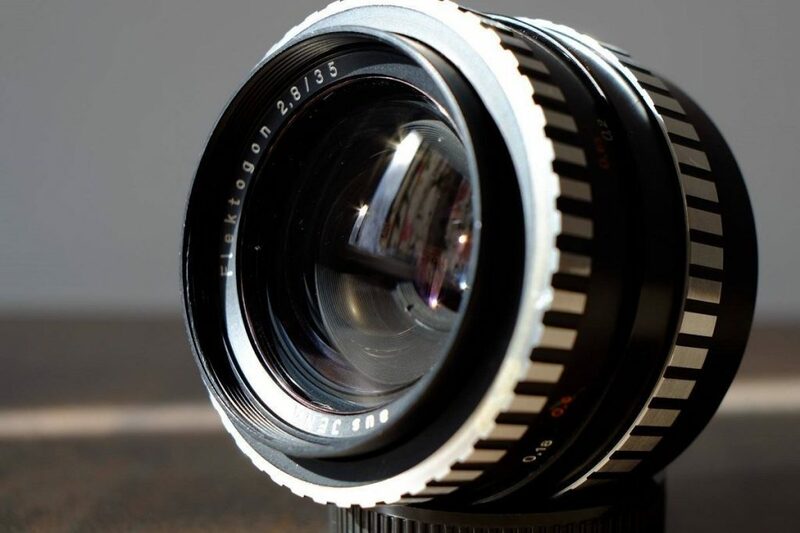 This lens is a further development of the earlier Helios 44M, and as the front number indicates, it’s the sixth “version”. In total, there were 8 versions until the end of production. Multicoating was introduced and while changes in design were minimal, raw performance was increased. As figures from Zenit indicate, both resolution and light coefficient transmission were vastly improved. Also another color scheme came the with MC versions, which marked the departure from all previous versions. This is a solid lens, but as it sometimes happens, what was gained in terms of performance was lost in terms of personality and feeling. That’s why image rendering looks more “controlled” on late versions. 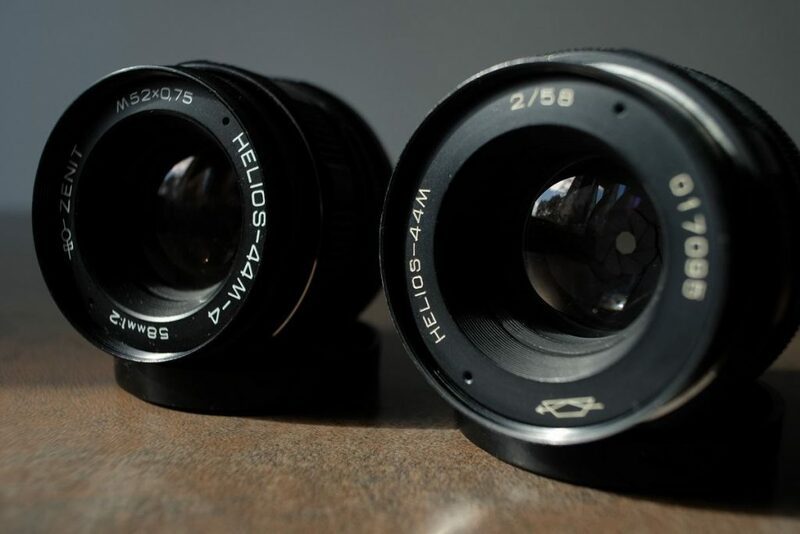 Helios 44M-6 MC has almost the same design as the 44M-4. However in terms of raw performance this lens outperforms all previous versions.